The latest post in our Ask The Drone Girl series is about buying the right drone for commercial purposes. Got a question for Drone Girl? Contact her here. We are getting into the commercial side of UAS (oil and gas, insurance, construction, wind power, engineering, surveying and possibly fire fighting). What drone would you recommend? I thought maybe the DJI Matrice 210. The Matrice 210 is a great drone, designed for commercial purposes. It can carry 2 kg of payload (4.4 pounds), fly for 38 minutes and operate as far as 7 km from the pilot. It has a power system for automatically heating batteries when flying in sub-zero temperatures AND is water resistant. It has been used in a variety of use-cases, from wind turbine inspections, to firefighting to search and rescue machines. However, a word of caution before you make the massive investment in a Matrice 210: Nail down your business model before you nail down what drone you want to use. Rather than market yourself as an all-in-one drone business, some of the most successful drone service businesses focus on just one niche. Dyan Gibbens’ company, Trumbull Unmanned, focuses on using drones to supply critical data to the energy sector, primarily supporting oil and gas and environmental efforts. Taylor Mitcham’s company, SkyNinja, focuses on the construction industry. “Rather than have a huge list of services and a crazy demo reel, show you’re an expert in one specific field,” said Drone Depot’s Alex Wright in a past Drone Girl article. Dial down your niche based on where you have expertise, or where your client base is located. Mitcham was a Project Engineer for a major EPFC construction firm before getting into the drone industry, so she had existing expertise to put her ahead of the pack when it comes to clients looking for a drone pilot to do construction-related work. From there, decide what type of drone and corresponding specs you will need. If you’re running oil and gas pipeline inspections, you will need a long range. But different applications call for different drones. Many fire departments are using the much simpler (and cheaper!) DJI Inspire or Phantom drones, which could end up saving you a ton of money. 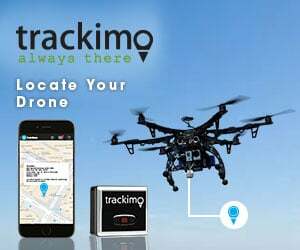 If you need to carry out mapping projects, you can do that as simply as with software like Skycatch or Drone Deploy, and flown with a Phantom. Good luck, and happy flying!